Walk in the steps of Marshall! 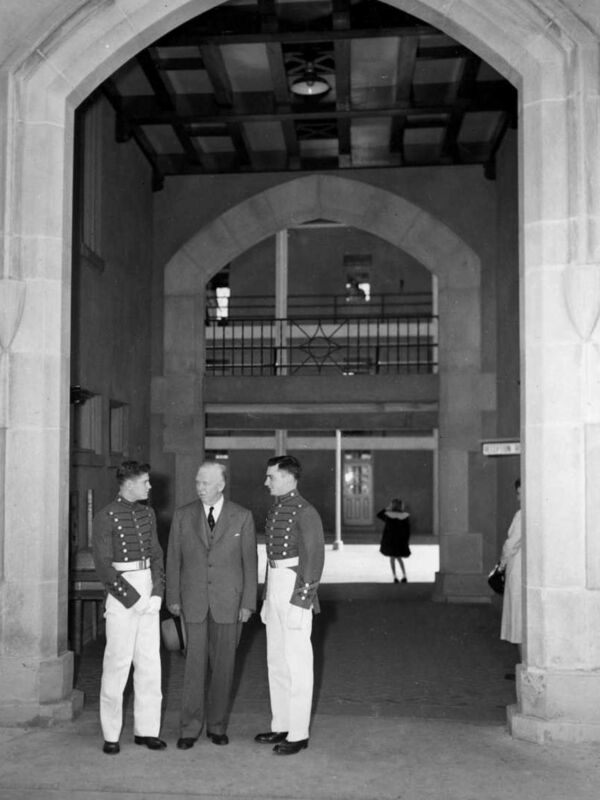 Marshall Arch was dedicated on Marshall Day, May 15, 1951, which is also VMI's Founder's Day. A bronze statue of Marshall is located on the VMI Parade Ground in front of Marshall Arch. George C. Marshall wed Elizabeth "Lily" Carter Coles in a ceremony at her house on February 11, 1902.